10 Smart Ways To Save Money on Petrol by Reducing Your Car’s Fuel Consumption. It’s Yuletide time the period most people have holidays and stay at home or drive around to visit fun places and relaxation centers. But the current fuel scarcity we are experiencing in Nigeria is biting so hard and making things abit difficult for fun seekers. Most filling stations don’t have fuel and where they have, it’s at a cut throat price. Some selling at N300, N250, N200 per a Litre of petrol. Knowing how to save fuel or reducing the fuel consumption of your car will greatly help in saving some money for other things in this current fuel scarcity the country is experiencing. 1. Make Fewer Trips And Combine All Your Trips in just One Big Trip. Planing your trips ahead and combining them in one big trip is a smart way to save money by reducing your car’s fuel consumption. This is because when you drive a car and parked, after few hours the engine gets cold. So when the engine is cold and you remember you need to go buy some stuffs, your car engine will use more fuel for the first five miles. This excess fuel consumption is what could have easily saved just by planning your trips ahead and combining them into a one big trip. 2. Avoid Driving during the Rush Hour. Rush hour are the period in the morning when everybody is trying to get to work causing so much traffic and in the evening, it’s when everybody is trying to get back to their homes and causing heavy traffic. Understanding your route and the period you are likely to experience a heavy traffic and avoiding it, is a smart way to save money by reducing your car’s fuel consumption. This is because every time that you stop and start in traffic, your car needs first gear and a huge amount of fuel to get moving again. Also driving at a slow constant speed instead accelerating and braking, will help reduce your car’s fuel consumption. When drive on the highways and at a very high speed, leaving your car’s window open will make your car expensive to drive because your car will consume more fuel. So when you drive your car and you start hearing wind noise as you drive along, roll up your window and put on your fan or the Car A/c if it gets too hot. This is a smart way to save money of petrol by reducing the fuel consumption of your car. 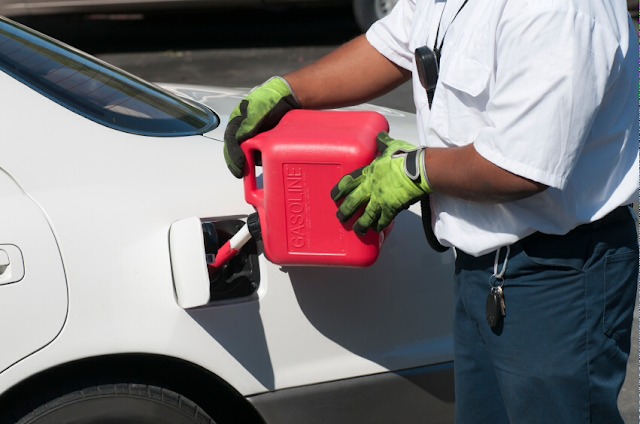 Your car will need more fuel to carry around more weights so try to remove unnecessary items from your car boot. Also don’t run your car with full tank of fuel because this will increase the load on the car and increase the fuel consumption. The lower the Tyre pressure, the higher your fuel consumption. So keeping your tires at the right level is a smart way to save money on petrol by reducing your car’s fuel consumption. If you’re not sure what the right Tyre pressure should be for your car, find the figures near the lock inside the driver’s door. Driving at a constant speed is an efficient way to travel. So if you are a patient driver, you will end up saving money on fuel. Driving in the highest gear possible without laboring the engine is a fuel-efficient way of driving. So when Driving at 60 km/h, a vehicle will use 25 per cent more fuel in third gear than it would in fifth. Driving at fast rates in low gears can consume up to 45 per cent more fuel than is needed. 7. Inspect Your Car’s Suspension And Chassis Parts For Misalignment. Bent wheels, axles, worn shocks, and broken springs can contribute to drive train drag and increase your fuel consumption, not to mention the unsafe condition they create. 8. Use The Recommended Engine Oil Grade. You can improve your gas mileage by one to two per cent by using the manufacturer’s recommended grade of Engine oil. For example, using 10W-30 motor oil in an engine designed to use 5W-30 can lower your gas mileage by one to two per cent. Thicker oil is harder to pump and adds to parasitic horsepower loses. However, studies show that at highway speeds cars get somewhat better mileage with the AC on and the windows rolled up. The drag caused by rolled down windows at high speed reduces fuel efficiency more than the AC. This is the simplest way to save money on petrol by cutting your car use – try walking, cycling or public transport for shorter journeys, or car sharing with your friends and neighbors. Previous Post Previous Post: How to budget and save money when your salary is small. Next Post Next Post: iCharity Club Review: How To Make 6,000 Naira Daily online With Paying Mlm in Nigeria. Unknown on Miropass AMart Affiliate Program Review: How To Make Money through Online Shopping In Nigeria. Copyright © 2019	Oladiti Dayo. All rights reserved.